Tis time I have a twofer interview; Chris Gotcher and the Shimmering Sword himself, Anthony Scroggins. We havequite a bit to cover this time so I’ll jump right in. Ron: Greetings, gents. I’ve been following your work, and been hearing some cryptic, teasing glimpses of some side projects between you both, especially with ‘Mech Engineering Quest. 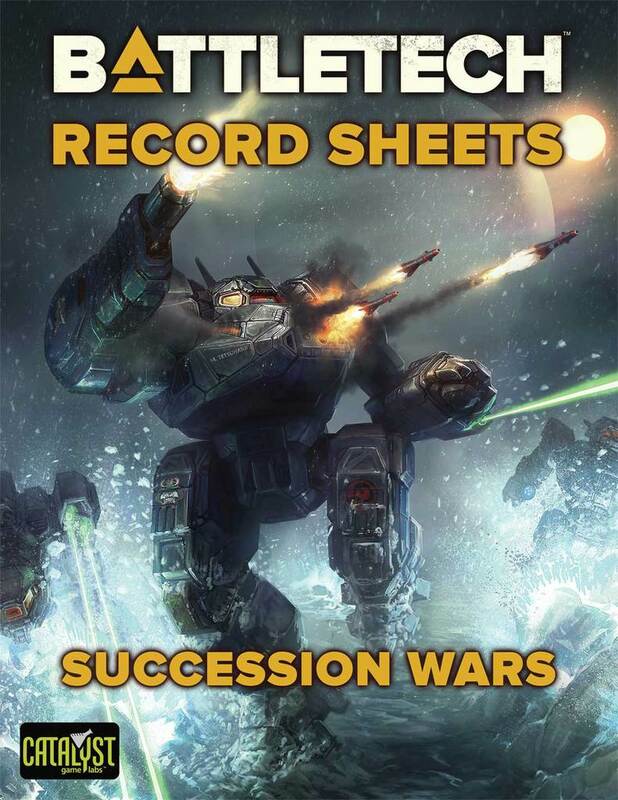 Though I was never involved, I have seen a few non-canon BattleMech designs here and there, and was wondering if you would tell me a bit about Engineering Quest and your current projects. The Duchy of Andurien- Someone was watching Mirror-Mirror when they created this flag. Anthony: Mech Engineering Quest is pretty self-explanatory, players got together a role played a design into existence. I was the first choice for having it visualized, but the job went instead to someone willing to work for free, which is definitely understandable. 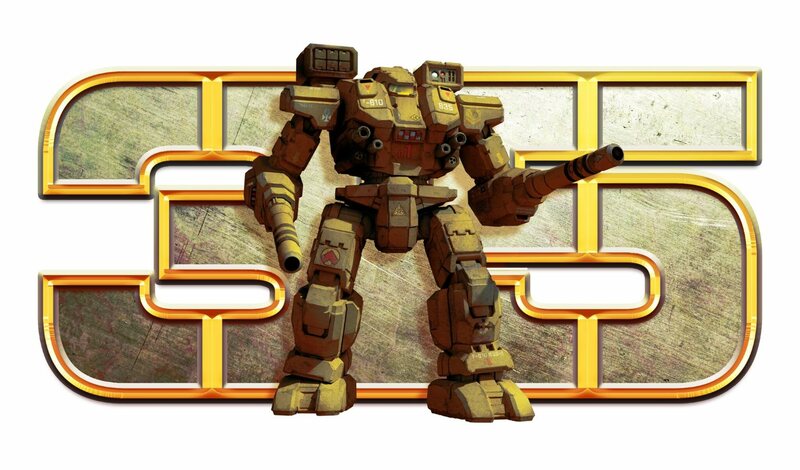 Chris: Well Mech Engineering Quest was a group RPG organized by “Anontech” and focused on the life of Mech Engineer Danny Holdt; the obsessive-compulsive, insomniac, coffee, and cigarette-fueled new lead designer for Skvorec Armorworks. 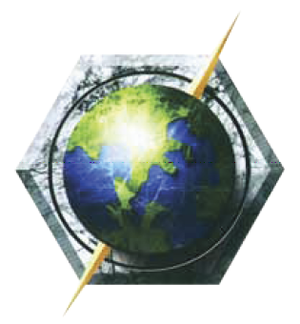 Skvorec was a Marik startup in 3040 not much better than a Solaris chopshop in the Reaches, but with room to explode with military rebuilding from the Andurien War. Ron: So what did ‘he’ come up with? Chris: Danny’s job was designing their first homegrown design and bringing it to limited production with a pile of salvaged parts, some part suppliers, his wits, and the expertise of the techs and ‘Mech systems specialists of Skvorec. The fruit of all his sleepless nights was Project Hazard Pay, the Phobos, a modular trooper light that would be rugged, reliable, simple to work on, and terrifying to look at. 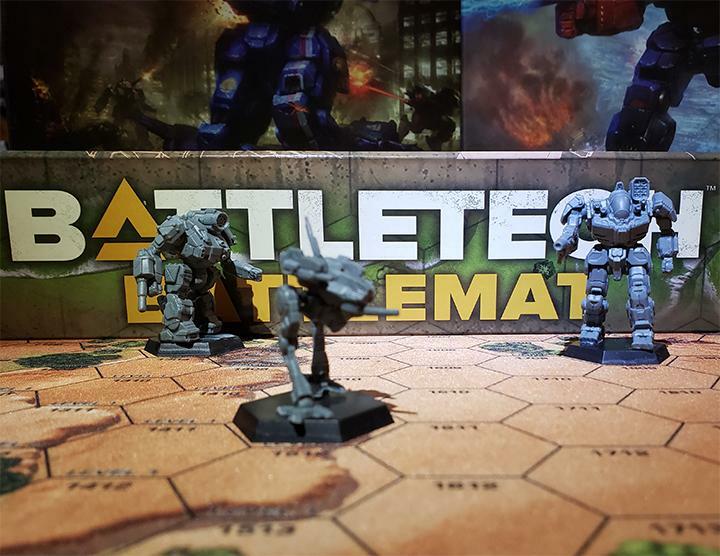 Anthony: Now that Chris has decided to turn some ‘Mechs stats and sketches into a production miniature I was called on again to put a refined touch on the design, fixing a few known issues and making general improvements. Chris: The modular nature allowed possible construction of several factory variants without massive retooling. In the end, proprietary systems were designed, people were kidnapped by spies, a prototype was designed, some big wig Capellans dropped by to license the design for mass production in the Confederation, and more crazy stuff. It’s worth a read and folks made some fun art to go with it. Hopefully it will get continued at some point. Ron: It reminds me of a Spider on steroids. What else do you have going on? Chris: The CBT-scale prototype printed great. With a few more backers, the giant 1/60 9 inch tall model will be a go. Now THAT will be impressive. We’re also looking at doing a few cold cast special releases for that classic metal look and feel. As of right now, we had to already cap the reserves on standard scale to keep it a limited run. A Super Spider? Danny, I see an ISF Pantyraid in your future, buddy. 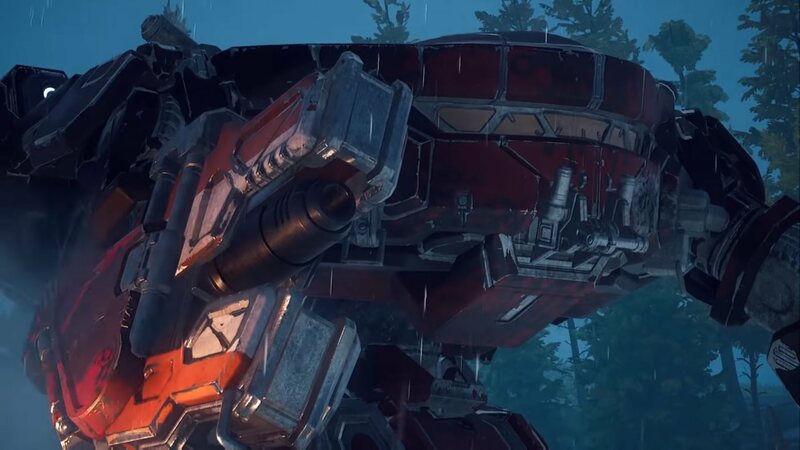 Anthony: We’re also working on a companion ‘Mech, a rugged scout called the Chaser. 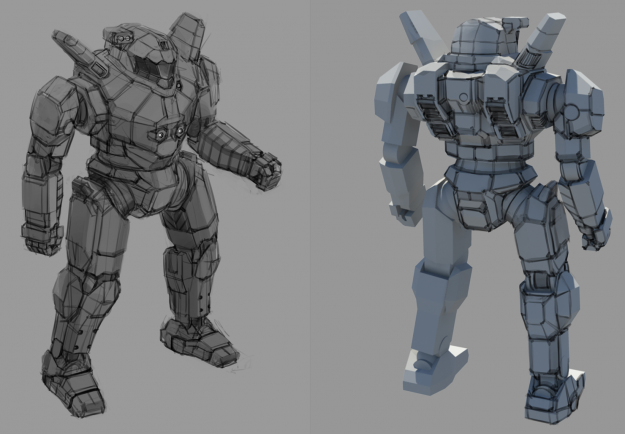 At this point I’ve completed front and back sketches along with basic 3D models for both ‘Mechs, so Chris is now clear to start modeling the final designs. Once those are well under way I’ll be producing a large illustration depicting both ‘Mechs and various other units in battle. Think of it as box art to go along with the minis. Chris: The Phobos and Chaser are a separate project with Anthony that should produce some great cover-grade art and minis. Sketches are a go, and I’m working on the print models based on Anthony’s pose models right now! And as always, working on up-detailing and releasing more MWO minis in limited runs. More plans in the works but those are all the gears turning right now. Ron: Chris- With the number of different molds and production runs you have going on, and a rumor that you might be getting a website instead of relying on LotB for sales. Some seriously impressive work, and having a pair of your examples that I’ve articulated (the way most of the Wiz Kids clickytech ‘Mechs are) only make me more impressed. Chris: That’s really kind of you to say. I try to improve my minis with each new release so things should get even better in the future. As for the webstore, I think it’s a natural step for releasing original designs. Limited garage kits will still probably be seen exclusively at LotB but things like the Phobos and the Chaser and more in the future will get a dedicated site and line. 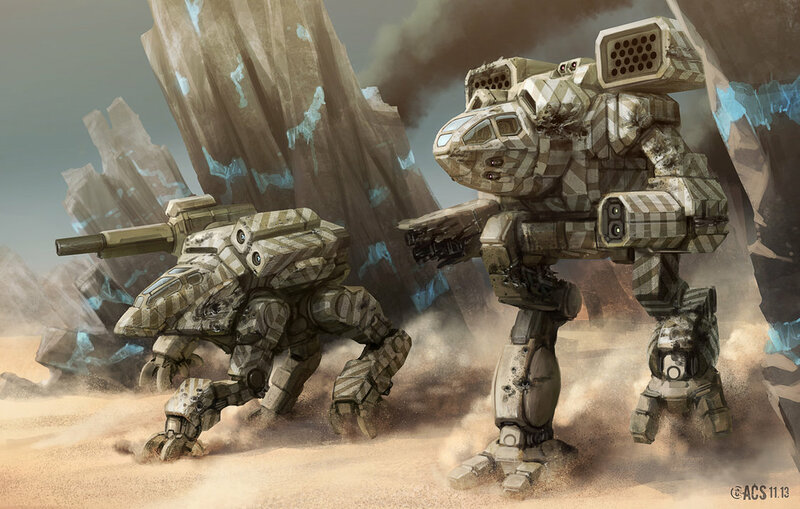 Ron: Anthony, I just have to say that Between the Mecha Front stuff, the Phobos, that bashed Fafnir and Hauptmann, you seem to be getting as well known for custom work as your higher profile canon Catalyst work. I don’t know about all of you, but that sounds a bit ‘Mafia’ to me. I like where this is going. And Sarna.net will be around to spread the word. 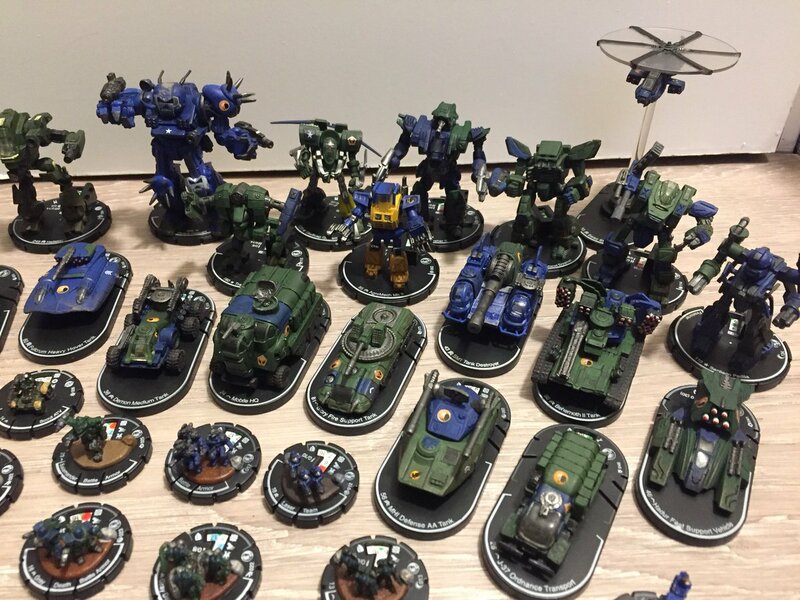 This entry was posted in Art, Community, Interviews and tagged Miniatures on 2013/10/13 by Ron. 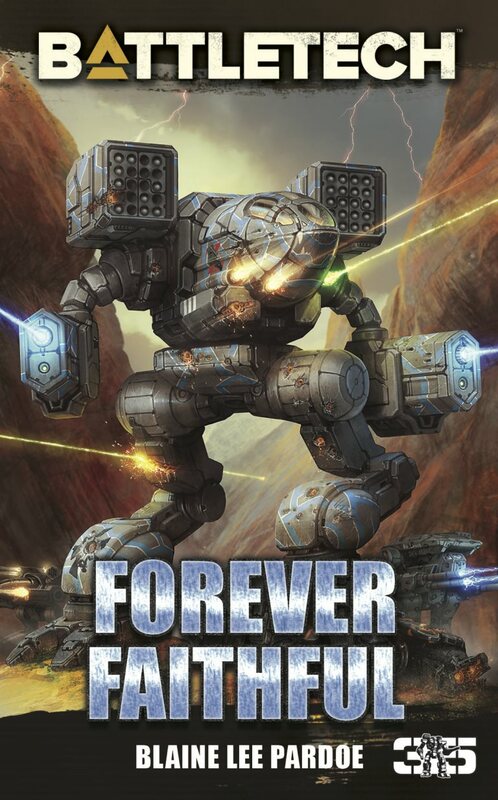 That is a gorgeous ‘Mech! Where can I get stats? When its done you should be able to get it in the buy & sell forum on lords of the battlefield. When ready I’m sure Chris will let us know. Stay Tuned.